Eng. in Med. and Bio. IEEE Young Professionals (formerly GOLD - Graduates of the Last Decade) was developed to help young professionals transition from being a student to entering the professional world. If you are an IEEE Member who has received your first professional degree within the last ten years, you are automatically part of IEEE Young Professionals! 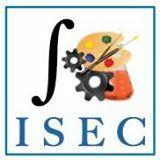 The IEEE Princeton / Central Jersey Young Professionals primarily focuses on developing professional networks from within the section to help young professionals meet with peers who may be interested in pursuing more advanced professional degrees and career advancement. We also hold technical events that help young professionals evaluate their career goals, polish their professional image, and create the building blocks of a lifelong and diverse professional network. Click here for Privacy and Security guidelines.